A range of Immigration events will be taking place over the course of 2019. The events have been designed to provide timely, relevant and topical updates, advice and guidance for members. The series will include a session on Legal Developments in Immigration Law and Practice and a practical session on Presenting and Preparing a Case for Hearing before the Immigration and Asylum Chamber. Additional events are planned for 2019 and these will be advertised over the course of the year. The Series seeks to enhance the knowledge base for practitioners engaging in - or thinking of working in - the field of Immigration and Asylum Law. One of the keynote speakers in the Immigration Series will be Fionnuala Connolly BL. Fionnuala was called to the Bar of Northern Ireland in 1996. She worked for several years at the Court of Justice of the European Union in Luxembourg and as a Senior Associate with White and Case LLP in Brussels. Fionnuala is author of Immigration Law in Northern Ireland: A Practitioners Guide (SLS 2011), co-author with William Orbinson Q.C. 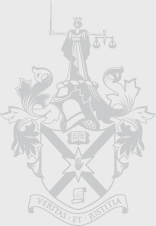 of Planning and Judicial Review Case Summaries 1976 – 2016 (Planning Online, 2016) and Planning and Judicial Review Case Summaries 2018 Update (Planning Online 2018). Fionnuala regularly delivers papers on immigration law, human rights, judicial review and administrative law and her areas of practice include immigration law, planning law, EU law, inquests, judicial review, administrative law and human rights. She is Chairperson of the Bar Immigration Practitioners Association (BIPA), President of the Franco-British Lawyers Society for Northern Ireland and the Bar of Northern Ireland representative on the CCBE (Council of Bars and Law Societies in Europe) United Kingdom Delegation. Fionnuala was called to the Bar of Ireland in 2018.